It’s easy to keep your head down working away on client projects while putting off personal projects. 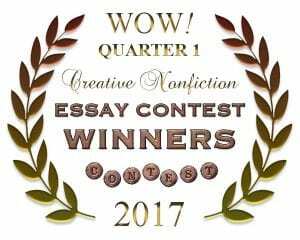 I challenged myself to enter one writing contest per quarter. This way I’d have a personal deadline and personal commitment to keep to myself while honing the skills that ultimately benefits my clients. This entry was fun to write and it was a bit cathartic too. I do not regret to inform you that you are dismissed. It is apparent over the course of the last three decades that you were ill-appointed for this significant position. I’ve waited around for you. I now see that it was expecting too much for you to actually show up. Instead, you lounged in your office, reveling in the lack of duties while I pathetically pined to be called into your chambers. I did my part. Showing up to the page, ready to allow the flow. The morning pages, the affirmations, the timer and a clean white sheet all anticipating your blessing. Some days I put on actual pants and went out among people in order to secure an assignment. What was I rewarded with? LinkedIn profiles! Newsletter copy! And the most wearisome of all, resume rewrites. Tedious tidbits in the arid land of non-fiction. Everything but the flowing honey of penning profound passages that the masses would devour. I behaved like a little manuscript minx, eager for a glimpse of your eye. Yet you behaved as the narcissistic lover that you are, granting me clients that pricked my productions with endless critique of minutiae. I remember the best one you granted me – salivating for the first opportunity to pounce on an errant word like a hawk swoops down on the furry little field mouse. Toward or towards – she was certain I had misused it. Come on, couldn’t you have at least given me credit for diplomatically citing the Fancy Infallible Book reference? Of course not. You also didn’t allow me any reprieve because she then declared a comma war. And wasn’t the failed actress a prize? My submissions returned awash in red pen. Her flair only bested by Zorro himself. You must admit you were a little amused by the time I gave her the very same copy a day later on a clean page and she loved it. In my defense, I was willing to give us both time to fully develop this relationship. I fell before you like a shriveled yogi at the temple entrance. Waiting for you to acknowledge in the most meager way that I could build a phrase into a sentence and place it properly among other clever phrases and sentences into a tome that would tickle everyone’s fancy. But your plans consisted of declaring me as scribe to energetic entrepreneurs rushing the gates of the Amazon castle: let’s write a real estate book, now a sales book, and ooh ooh, a brain behavior book! Satisfying similes and mesmerizing metaphors are not ingredients in ghostwritten non-fiction. In deference to you, I will bear the blame for my obsequious behavior. You see, there are several positions on the board that have been much more vocal than my current candidate for Chairman. I’m sure you know the ones I speak of. In fact, they are little copies of you. Alright, if I must I will name them here: Doubt, Fear, Criticism and at times, Sensibility. Although I have detected some backbone growing in the latter mentioned one. As I conclude this letter, I will inform you that the new All Mighty Chairman of the Board is Fulfillment. Thanks to you and your gritty resistance, I’ve built a very strong bond with her. Clean out your desk, you’ve been locked out of your laptop and your severance is in the mail. Congratulations, you have been selected as the All Mighty Chairman of the Board. I’m sure you heard Success wailing down the hallway. You and I both know that her firing was too long in coming. She was such a tease anyway. I’m not really sorry to see her go. You have a packed agenda, because Doubt, Fear and Criticism are probably going to jump ship. Sensibility and Determination look like they are in it for the long haul; I think they’ll be great board members for us. I look forward to working with you, listening to your guidance and wisdom. I am most looking forward to your continued encouragement. Please enjoy your new office and remember that my door is open to you any time. What can you challenge yourself to write? Let me know.